pini Avital israel Champion 2008 Western Riding Open Cattinge. 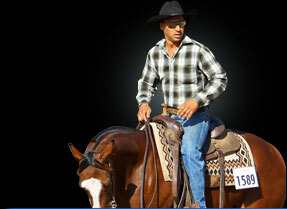 Avital horse ranch riding school provides a variety of Western farms Harlev - Avital Kfar Netter. Horse riding tours, hiking groups, romantic tours Alexander River National Park beach seine. The farm was founded in 2000, when a horse farm Finnish Avital, continued during the natural world the way it introduced the world of horses since childhood. Reach people of all ages to feel the direct connection of man to nature and animal. Avital ranch specializes in national competitions and compete in the reining, cutting, rehined-cow horse and his name goes before a competitor, teacher and coach in Western riding and cattle. Championship competition in 2007 rated the country as vice champion Finn Avital Israel Novs Cattinge (Novice-cutting). His students have won many championships beautiful achievements. Horse farm is characterized by a family atmosphere, a cohesive and warm, many riders participate in national competitions, and meet at social gatherings take place regularly. On a farm about 40 horses, big gaps and bad cells colts mares, some specially imported horses from Texas ranch to the U.S. cattle industry specialization that began to develop Vreininge Recently buy him many in the field, trained by professional trainers, skilled and experienced teaching staff, and riding one of the few indoor court in the country. farm team will be happy to host you at any time! Avital ranch, horse back riding provides training services and learning western riding, therapeutic riding, riding instructor's course, but in addition to horseback riding often get all sorts of varieties. We spend horseback riding near Nahal Alexander trawl in a spectacular setting in the heart of nature. All horseback riding and continue to go places gestures Avital different distances depending on the trip. We also spend romantic horseback riding moonlight. For more information about a romantic ride, .